The Madison-Kipp Corporation made steam cylinder oil pumps for Model 740 and 750 Stanley Steam Cars. The Corporation also made a wide variety of oilers for agricultural and industrial use. 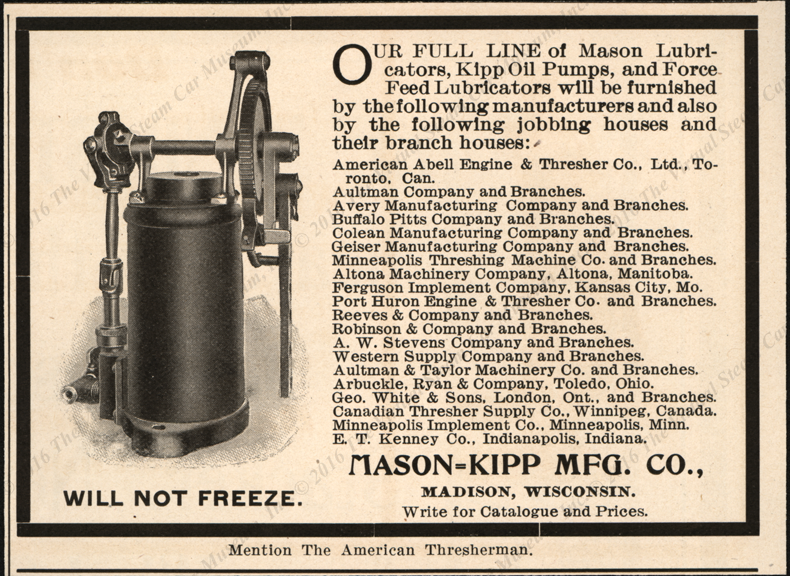 This 1903 Madison-Kipp Manufacturing Company advertisement appeared in The American Thresherman magazine. 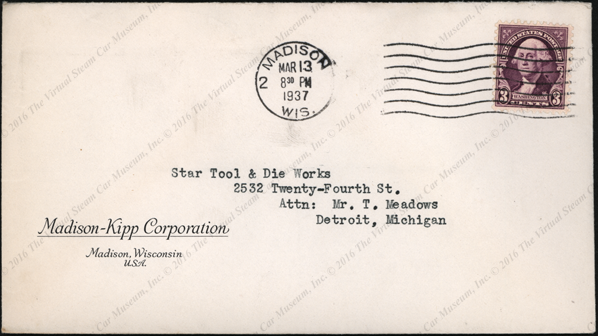 This advertising cover post-dates the years when the Madison-Kipp Corporation made steam cylinder oil pumps for Stanley Steam Cars. Contact us if you have additional information about the Madison-Kipp Corporation, or if you have questions.